This month's newsletter is short and sweet but it may save your life in an emergency situation. After a storm or a flood or some other natural disaster, you may not have access to clean water. 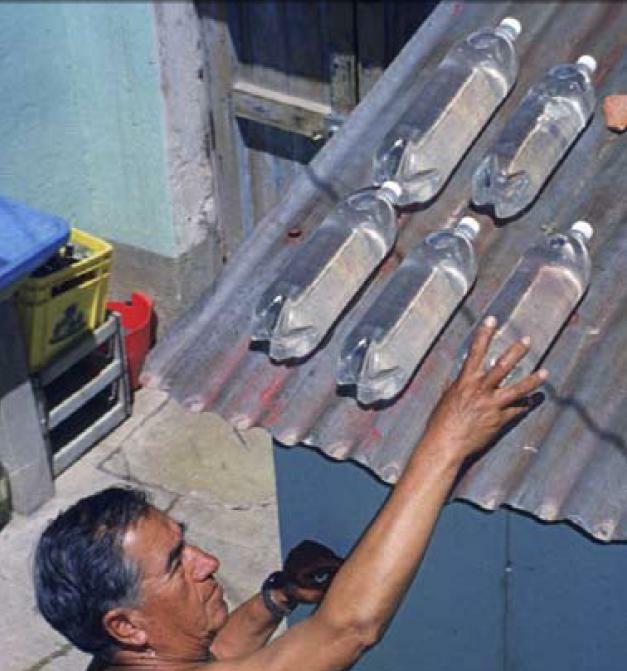 Many developing countries need to use this simple solar water purification "technology" every day because currently over 1 billion people do not have access to clean, purified water. Drinking contaminated water leads to illnesses like diarrhoea, cholera, typhoid fever, hepatitis A, amoebic and bacillary dysentery and other diarrhoeal diseases. Each year 4 billion cases of diarrhoea cause 2.2 million deaths, mostly among children under the age of five. This is equivalent to one child dying every 15 seconds, or 20 jumbo jets crashing every day. These deaths represent approximately 15% of all child deaths under the age of five in developing countries. So... what is this new solar water purification "technology"? Bill that is a simple and great idea, to add my own research and knowledge to the table, be sure that the water bottles are # 1,2,4... links below a more helpful and there's so much out on the net on them. I'm a huge outdoors person and when Nalgene recalled there h20 bottles because of this matter, it concerned me, all these yrs. But they say heat added to the container and using old plastic is the worse you can do. I'm starting to fade my plastics out, which is tuff. Replacing my water bottles with stainless steel. So some helpful hints for you!! Please note: Do not use bottles which will filter out the sun's UV rays. It is already in use in some areas in Africa!